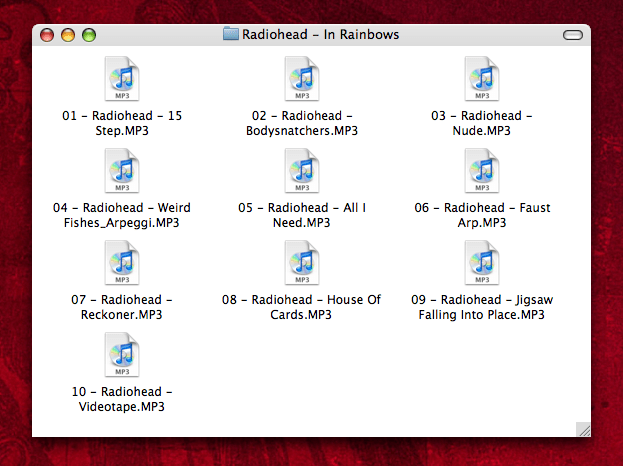 If Radiohead wore bras, I’d be burning them along side ’em. Here’s to their independence. And to the future of an Open Media Web. I second that! NIN is next. What about PayPal, Radiohead? I don’t have a credit card at hand (yet). Pingback: eBookit Linknotes » Nuovo “Open Web Media” o solo nuovo modo per far soldi? Next Next post: So Mozilla wants to go mobile, eh?